It said some freehold locations in the city continued their soft growth in prices, while others remained either flat or saw marginal declines. “A slight decrease in quarterly residential sales prices, coupled with a jump in overall quarterly transaction volumes, indicates a possible cyclical soft recovery stage for the residential market during the months to come,” said the report. The ValuStrat Price Index (VPI) for the fourth quarter of 2016 showed an overall 0.5 percent annual decline in values, equivalent to prices being 13.7 percent below their 2014 peak. “After a quiet third quarter, citywide residential sales transaction volumes witnessed an estimated quarterly jump of 35 percent for apartments and 22 percent for villas, and transacted sale prices were 4.2 percent higher than the second quarter,” said Haider Tuaima, ValuStrat research manager. Residential investment yields compressed by 0.1 percent, as median asking rents were 6.5 percent lower than Q4 2015. However, rents remained broadly flat quarter on quarter, he added. 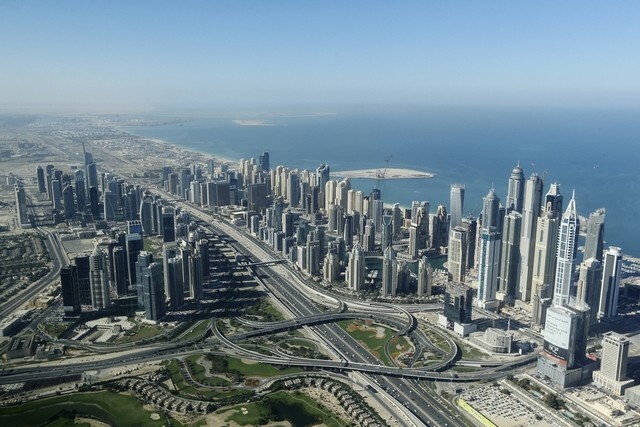 “Exceptions to the above trend were seen with increased median asking rents in prime locations such as Jumeirah Beach Residence, Palm Jumeirah and Emirates Hills,” he said. The report estimated that the total supply of residential apartments and villas in 2016 amounted to 11,000 units, representing 33 percent of the initial estimate at the start of the year. 2017’s pipeline is expected to have 75 percent of its residential supply in the mid-affordable locations of Dubai Silicon Oasis, Dubai Land, Jumeirah Village Circle, Al Quoz, Dubai Sports City, International City, Production City (IMPZ) and Al Furjan.